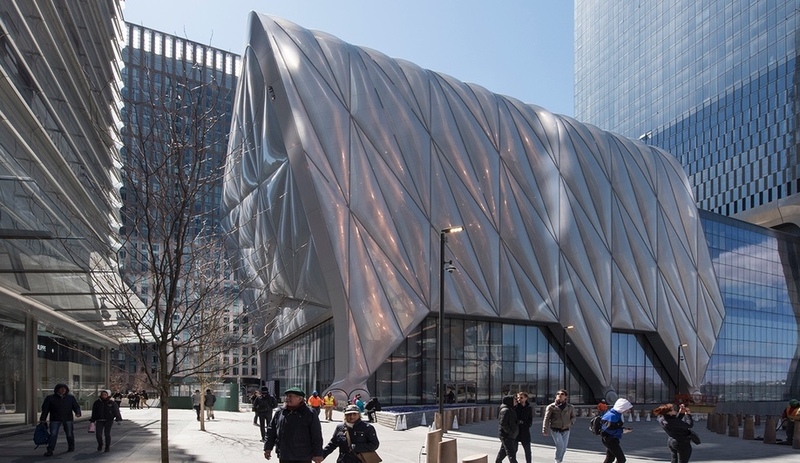 Diller Scofidio + Renfro’s cultural marvel adds a more democratic space as well as technical wonder to an increasingly maligned development. 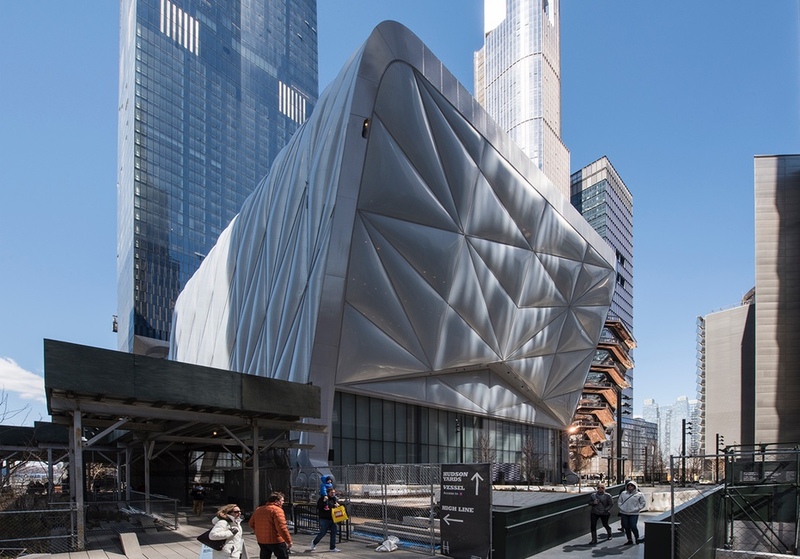 Situated at the foot of the 15 Hudson Yards residential tower – also designed by Diller Scofidio + Renfro – the art and culture centre meets both the street and the nearby High Line with an instantly iconic quilted facade. 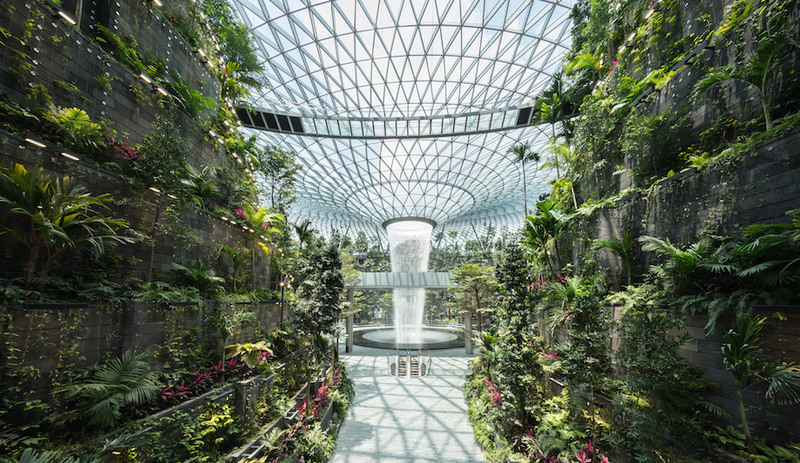 The pillow-like lattice pattern forms a movable, telescopic shell for the complex, which can be rolled out to create a partially enclosed outdoor space. 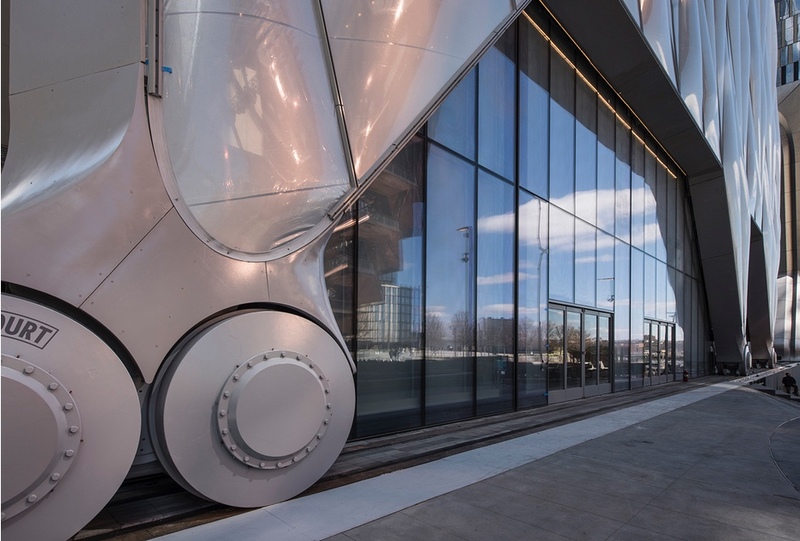 Requiring the energy equivalent of a Toyota Prius engine to move, the shell – which rests on massive wheels atop an industrial track – accommodates a wide variety of public uses while minimizing the building’s footprint. 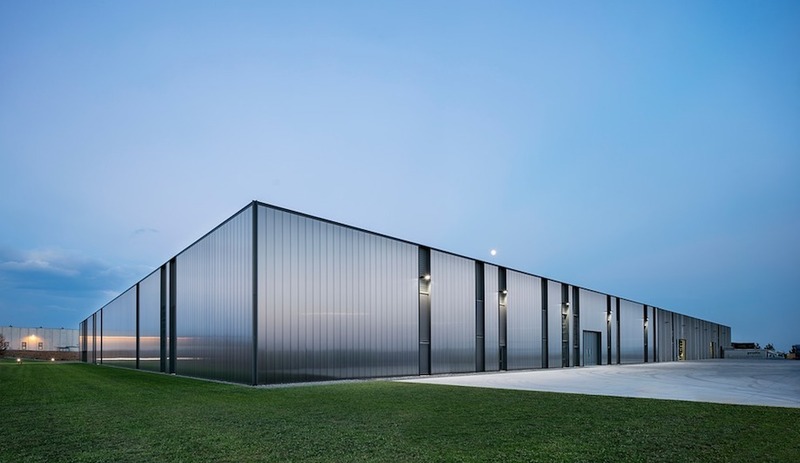 When deployed, the structure creates a 17,200-square-foot hall that accommodates a seated audience of 1,200 people or a standing one of 2,700. 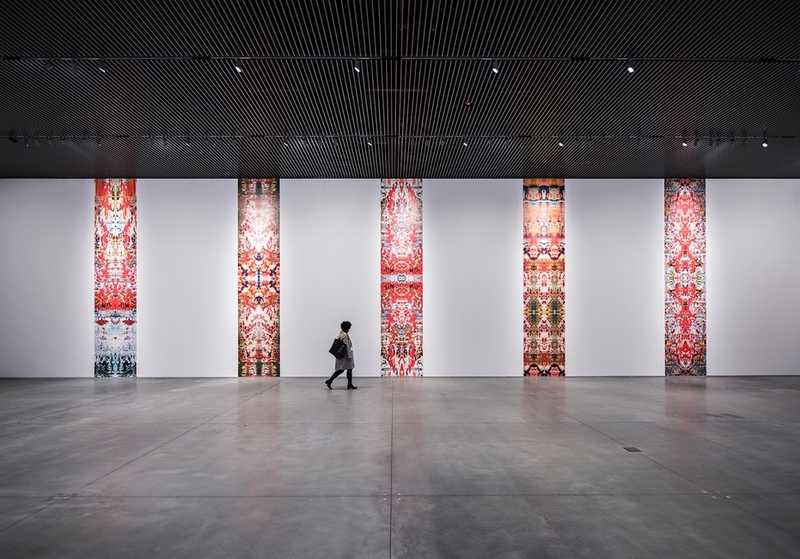 Flexibly configured indoor space in a pair of adjoining galleries can be adapted to create an even larger space, accommodating up to 3,000 people. The climate-controlled and acoustically engineered space promises a comfortable environment that maintains a sense of openness. 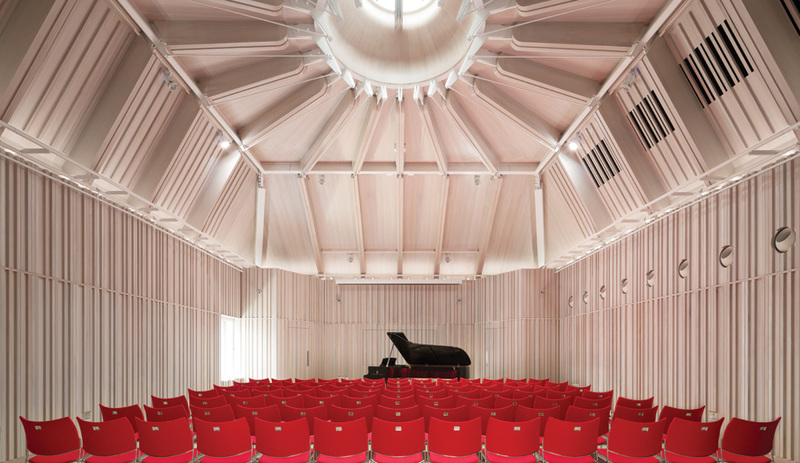 As pictured above, the shell’s ceiling creates a theatrical deck with full rigging and structural capacity. 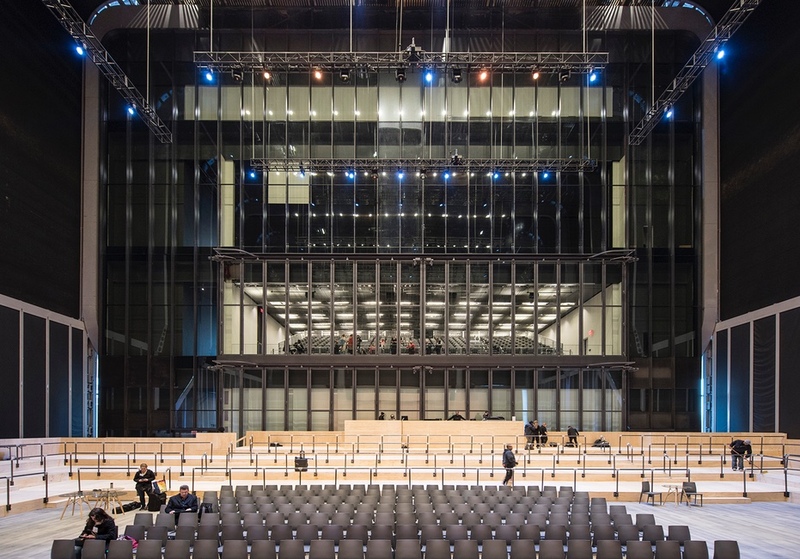 Beyond the architectural spectacle of the shell’s pillowy truss, the eight-storey base building will host a variety of exhibitions and performances in more modest environs. Three main levels of galleries are joined by a 500-person performance space. 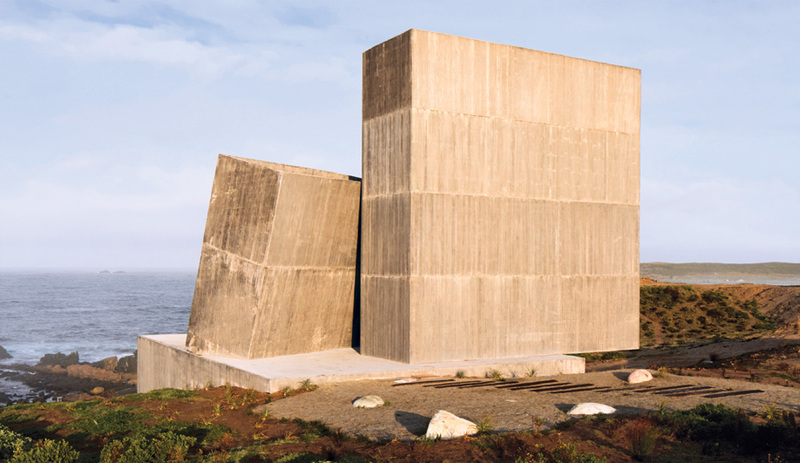 Here, a pared-down interior of concrete floors, plain white walls and suspended ceilings defines the space. 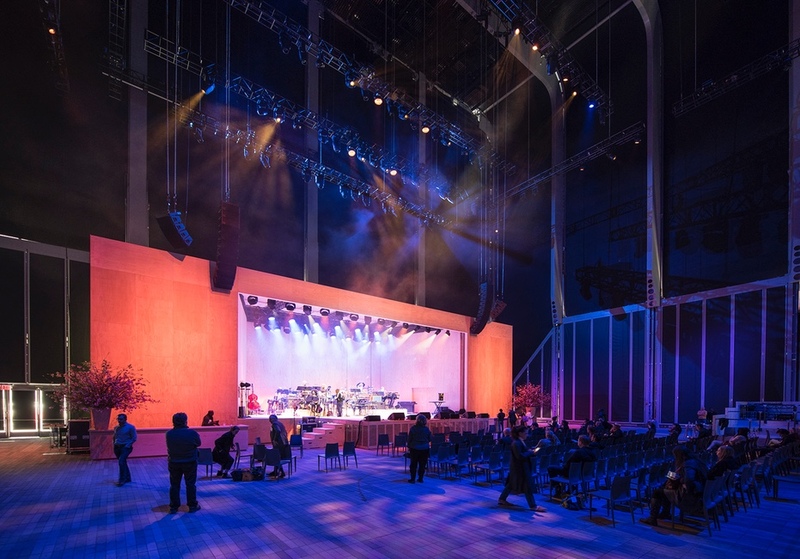 The performance and exhibition venues are paired with rehearsal space, a “creative lab” and a skylit event space, supporting the mandate of an institution that aims to commission original work and support emerging artists. 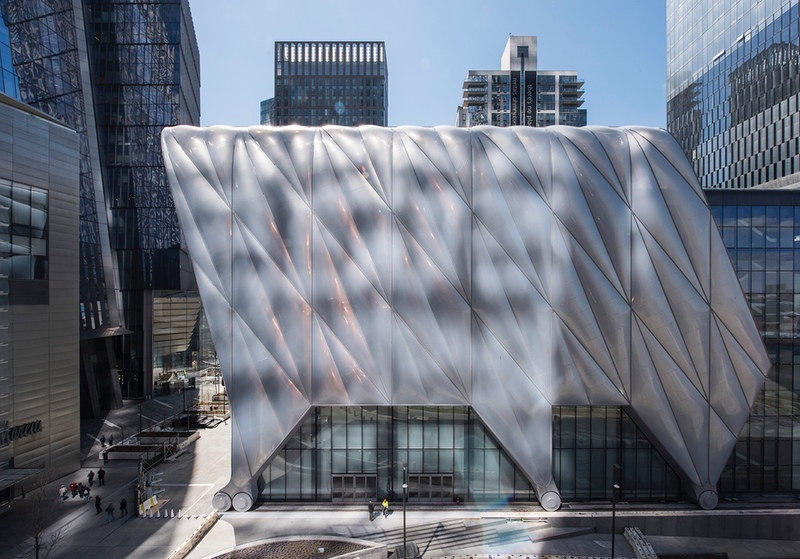 In the controlled, “smart city” world of Hudson Yards, The Shed promises a more raw, undefined — and necessary – space of creation.